4. Click "Manage" and "cPanel Admin"
If your DNS hasn’t propagated yet, you can try replacing your domain name (example.com) with the IP address of your server. Just remember that unless you’ve chosen a dedicated IP, your address can change! For some reason, I had difficulty logging into GoDaddy cPanel URLs. I don’t know whether I just picked the wrong sites, or it’s something to do with GoDaddy specifically. In any case, the use the web panel for GoDaddy instead. With all the other hosts, you can use the tested URLs above. If it says, “No Secure” (Chrome) or you see a lock with a red strikethrough on it (Firefox), or just an exclamation (Edge), try some other login URL unless you absolutely have to. The reason is that you’re not connecting over a secure connection. Your username and password data is being sent over the Internet is plain text. It’s difficult to emphasize how dangerous this is. I’m the first one to favor convenience over security, but even I will try and avoid inputting login credentials into an unsecure site. So be wary! Follow the list order above, and use the first one that works. What’s the Difference Between Port 2083 and 2082? Uses port number 2083 which explicitly connects to the secure version of the cPanel login. Even if you enter the URL without “https”, it’ll redirect you to a secure login. You can verify this by making sure that the green “Lock” icon is present and it says “Secure” or something like that. This is because port number 2082 explicitly requests an unsecure connection to cPanel. Even if you enter the login with “HTTPS”, it doesn’t work. So if you deliberately call port number 2082, you are guaranteeing that your connection won’t be secure. 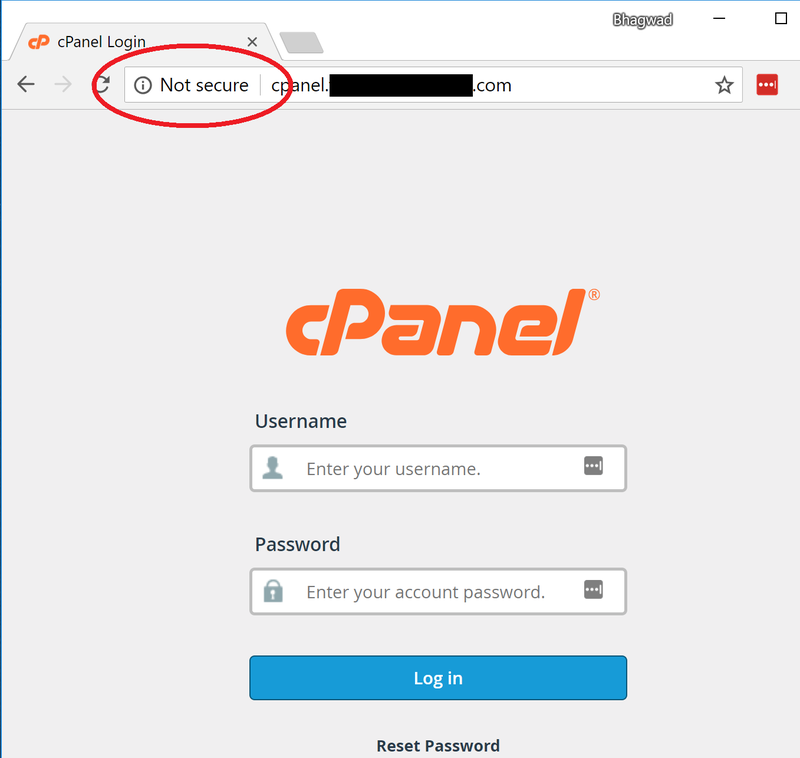 What About the Other cPanel Login URLs? These will redirect to one of the above two URLs and it might substitute a different hostname instead of your domain. 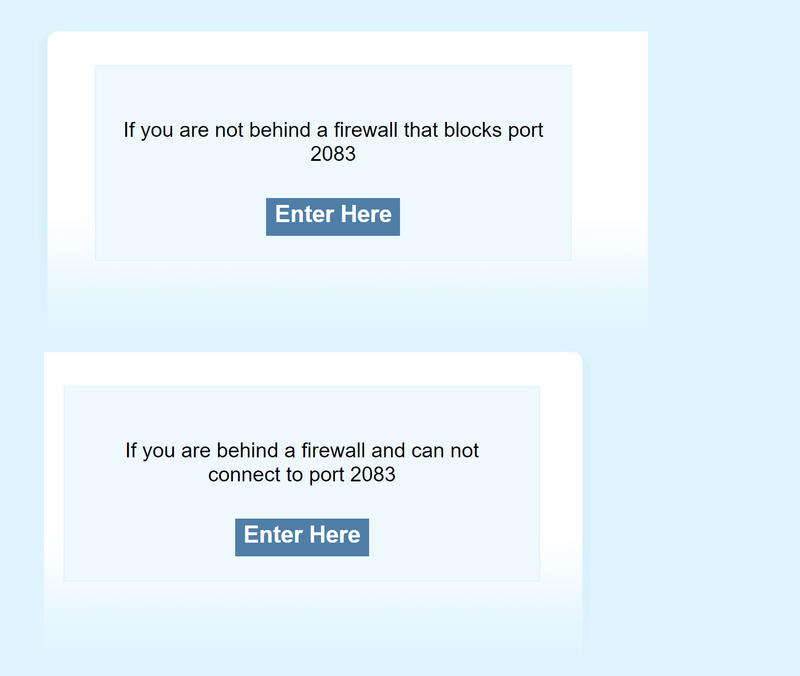 Whether they redirect to port 2083 or 2082 depends on how the server is set up. Though I’ve found in my testing that “cpanel.example.com” almost always leads to the insecure version. You can wait a while after this screen, chances are that it will redirect automatically to an appropriate URL. In case it doesn’t, try clicking each and see if you can log in. Or if you know whether or not 2083 is blocked on your firewall, you can click the one you want directly. This Will Only Work on Linux Hosting! cPanel is a Linux focused package. They tried to port it to Windows once, and then gave it up. So if you’re on Windows hosting, you’re probably using something like Plesk instead. In which case, the login URLs will be different. And though most Linux hosting services will provide you with cPanel, it’s not all of them! DreamHost for example, has its own control panel. You can access it via this URL: https://panel.dreamhost.com/. So just check and see if your hosting service uses cPanel. If it doesn’t, they’ll have their own unique URL that you need to log in. In short, whatever method you use, make sure that you’re always connecting securely before entering your username and password. Stay safe!